The euro pound exchange rate appears intent on staging a more sustained recovery while the euro dollar rate looks as though it may have arrested the break-neck declines seen in the weeks leading into March. 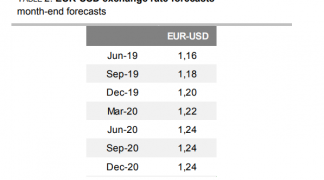 The euro exchange rate complex (EUR) is fighting back; this will come as a relief to those Eurozone importers who have been hit hard by a depreciating currency. Individuals with the need to transfer currency out of Europe and exchange with the likes of Sterling and the US dollar will also be relieved. The drivers for the recovery actually appear to be external to the Euro at the present time, (that said, David Absalon at Heartwood would argue otherwise). We saw the US Fed torpedo the USD in their March briefing while the Bank of England’s refusal to move on interest rates has taken the wind out of the UK currency. In fact, further pressure has been heaped on GBP by the Chief Economist at the BoE who has even mentioned the possibility of an interest rate cut. At the present time we see the euro to pound exchange rate (EURGBP) converting at 0.7247. The euro to dollar exchange rate (EURUSD) is seen at 1.0682. Please note, that all levels mentioned here refer to the wholesale market. Your bank will affix a discretionary spread when transferring money internationally. However, an independent provider will seek to undercut your bank's offer, thereby delivering up to 5% more currency in some instances. Please learn more. Direction in the euro-sterling rate appears to be favouring the shared currency at the present time it would seem. “EUR/GBP has broken the hourly resistance at 0.7220, confirming an improving short-term technical structure. “The potential successful test of the key support at 0.7089 and the general oversold conditions suggest a limited medium-term downside potential. Luyet does concede that while we could see further strength in the euro for the short-term, in the long-term prices remain caught in an underlying downtrend. We also see evidence that a number of big institutional names are turning cautious on backing the pound any higher against the euro. "The main risk to the short EURGBP trade is political in nature. If the UK general elections result in an environment where a government takes longer than expected to form, or if the new government elects to push for an EU referendum, this uncertainty may stall portfolio inflows into the UK. "Should such an outcome materialize, we still believe that European outflows will continue - but the flows are likely to direct themselves towards the US instead." Turning to the world’s most traded and liquid currency pairing, the euro dollar, we note that ultimately a test of 1:1 is on the cards. That said, indications suggest that the rate of decline in EURUSD may ultimately be slowing. “Having seen the EUR largely retrace post Fed losses we need to break 1.0630 in order to extend the downside towards 1.0580. Right now it seems as though there is nothing to stop the dollar - any panic selling is greeted by a rush of opportunistic buyers all keen to jump onto one of the best yielding trend of recent years. Until we see any kind of game-changer, in whatever form it may be, the rally is likely to push on.